Last week we were having a session on Leadership within my team and we discussed many different aspects of this much sought after trait in the corporate world. But as we delved deeper into the subject and contrasted the leadership styles along with questions about morality, right and wrong, success and failure there was no one answer to the puzzle. I have always believed that among the many different qualities that one needs to master in worldly life Leadership is one of the toughest. I attribute this difficulty to the fact that while in interaction with hardware and software the outcome for a particular action is fixed, in case of human beings who posses one of the most complex softwares ( brain) known to man, the response could vary significantly. Also, while the machine will not hold the negative interaction against you and will in the first place tell you why or what it did not like a human being may never tell you about their impression but even hold their dislike for a long time. Again, to what extent even they will not know as it is a function of a number of things – your reaction, their own situation or circumstances, what others tell them about you, their own ability to forgive and forget. The data points are varied for both the leader and the follower and then you could have a dynamics going on within the followers themselves. They may see your actions as biased or dislike you for liking someone they don’t like and so on. A leader therefore has this unique of being a sage while excelling in the material world. You see so many bosses around you but how many of them you can call leaders ? While driving back home I was constantly engaged in the thought about how can this code be cracked.While I had enough question and a few answers it was clear to me that the answer was within me and not outside. How people look at me or get influenced by my behavior was indeed a function of my own mastery of myself. If I could attain a higher state of being unmoved by the trivial and ever enjoying a state of peaceful existence but at the same time having the drive and courage to do what is required of me I could probably inspire others around me to a certain degree. The car stereo was all this time playing a soulful rendition of Hanuman Chalisa by Swami Tejomayananda and as usual I was humming along with Guruji. In this particular CD Swamiji has sung the Hanuman Chalisa in 7 different Ragas and in between each rendition he tells some anecdote about the great qualities of Bajrang Bali. He was telling now about the 8 Siddhis which were awarded to Hanumanji by Sitaji and that Hanumanji was a giver of these Siddhis to his Ananya (unique or superlative) bhakts. I had heard about the Siddhis before and had always thought that Neem Karoli Baba (Maharajji) possessed all of them. 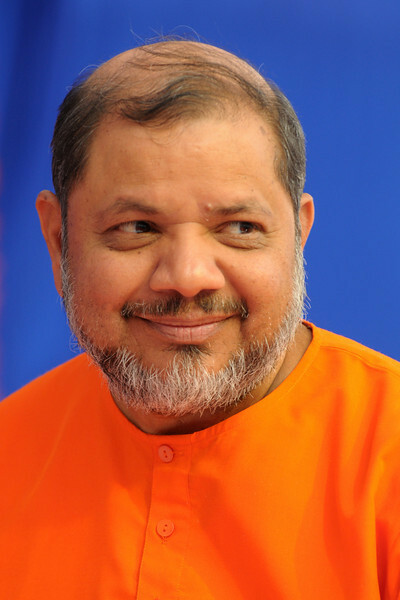 But today it was special – while Swamiji explained the verbal meaning of the what the Siddhis meant he also declared that we did not literally need to strive to achieve them but can take the gist of what they stood for and put them into practice in our lives. As an old habit I started making a mental note of what Swamiji was saying but soon enough I realized that the answer I was seeking was right there. The new 8 fold path of Hanumanji’s Siddhis was all I needed. Each Siddhi represents a different quality of ones character and if imbibed correctly they can really transform you not only as a leader but as a human being. Anima – is to become small. Taken literally it is the miniature form that Bajrang Bali takes when he takes Shri Ram’s message to Sita in Lanka. But if you consider the import and apply it to our lives then it could mean not pandering to our ego on every small instance. We all know that there are times when if you can say sorry the job will be done but we keep holding our position just to satisfy our ego. Sometimes we even garb it as self respect. Trust me the ‘self’ does not need respect of all things as it is beyond human condition. In daily life it could mean a simple thing such as saying sorry ! In personal and professional life sometimes even if you know that the other person is being unreasonable, look at the larger picture and say OK you win. But then there is a challenge – you should know when to hold on and when to let go. A leader represents change and disrupts the status quo so he cannot be seen as giving up the cause. Having set a higher goal, the trick is not get bogged down by the trivial. This is the key. Mahima – The second Siddhi is the opposite of Anima and verbatim it means to become big. In Hanuman Chalisa this is described as Sukshm roop dhari siyahin dikhawa, Vikat roop dhari lank jarava, bhim roop dhar asur sanhare Ram chandra ke kaaj sanware. Hanuman ji attains a humongous form and burns the entire Lanka fighting with numerous powerful demons and jumping from one palace to the other as if he was jumping puddles. So now if we consider what this could mean to us – well, in life we meet so many situations where we have to act bigger than what we actually are or let me say what we think we actually are. This is specially relevant in the context of leadership. There are stations in life which require you to ‘become’ big and take a higher position. It could be a team lead, head of an institution, a CEO and so on. But when such a challenge comes don’t have self doubt or cower down, cringe and lose confidence. Understand that its not because of some false image that you have projected that you are being given a higher role, it is because others have seen in you the qualities that can help achieve the objective. You are in the front seat so you are being asked to drive. Don’t bring in your ego as it will create all kind of illusions. Just do what needs to be done ! Rise to the challenge and take everyone along with you. If your intention is good and your ideals high then where is the question of not taking a bigger form ? Garima – The third Sidhdhi has been described by many of Maharaj ji’s followers. Once he was not well and being an old man a disciple tried to offer support while going down the stairs. He recollects that when Maharaj ji gave his hand he felt that the weight of the entire world has come upon him and he will get crushed. Just then Maharaj ji looked at him and he was back to normal. Of course, this was Babaji’s leela ! Now for us this Siddhi could simply mean that one must have a Stoic nature in life. Good and bad , Happiness and sorrow, Winning and loosing are all part of the game of life. Swami Chinmayanada used to say that always remember – Even this will pass away. This holds equally true for favorable and unfavorable conditions. Just like the good times did not last so will the phase when things are less than perfect. Again for a leader it is important to know that praise needs to be taken in one’s stride as much as criticism. Not everything you do or every decision you take can be favorable to all and it also depends upon their own understanding and state of mind. If you get exalted with every little success or every small praise then you are bound to act the opposite when you have to face tougher times. Stand straight, not straightened as Marcus Aurelius the great Stoic would say. Laghima – is the quality of becoming light as a feather. This lightness enabled Hanumanji to fly as fast as the fastest bird and being the son of Pavan- the God of air he had this inherent quality of being like the air itself. Now the interpretation of this lightness for us would mean being ‘light hearted‘ or not taking every little thing too seriously. Have some fun in what you do everyday and take time off for simple pleasures of living. I have come across many people who take life quite seriously and they have found my view of life so different from theirs that they have gone to the extent of calling me careless, slow and easy. But on the other hand I have seen the misery of these characters who will stay up the whole night as someone passed a comment which they thought was not in the right spirit. Now the person who said it went home and slept but they will stay up the whole night thinking – oh my God how could he/she say this ! Also, almost always I have found that what seems to be a big problem as we conjure up dooms day scenarios within our minds usually has very simple outcomes. I am not saying that we keep acting funny and stupid but then take time to step back and look at things as they are. To be able to laugh at yourself is a wonderful way of doing away with the burden. Bob Marley said – Don’t you worry about a thing…every little thing is gonna be all right. I think he really made a point there. Prakamya – or taking the desired form at will. Hanumanji could transform into a Human being, a monkey and take many other forms he willed to or if they were required for him to accomplish the task of his master Bhagwan Shri Ram. It is a great Siddhi again which tells us that to meet the given objective or to perform the task at hand one should be able to change the attitude, the manner and the disposition/temperament. I always joke that Shah Rukh Khan has not acted in some 50 movies , he has acted in just one movie but it has been released or shown to us some 50 times ! As in the world of drama it is important to get under the skin of the character, in life too it is important to understand your role really well. And just as in the movies if one is playing a king he should look and feel like a king not a beggar in life too if one is in a position of respect one should make sure he does not bring down the stature of the position. ‘ Acting’ your part is an art we need to develop consistently. When in the office behave like a boss or an employee but once at home change your role to a father, a son or a loving husband. Never take the tension of your home to work or bring back worries from the office to the dinner table. The ability to switch ‘on’ and switch ‘off’ is one of most important traits of a great leader. And if we keep the first 4 Siddhis in mind and practice them well Prakamya should become our second nature. Prapti – This Siddhi relates to transcending the limitation of Human form and to be able to reach wherever and whenever. It also implies being present at different places at the same time. This great Siddhi was possessed by Maharaj ji as there have been numerous instances of devotees seeing Baba Neem Karoli at different places at the same time. Many times people have described him to appear and disappear almost instantaneously although he always tried to find some excuse or the other for this phenomenon and scolded his followers of creating unnecessary myths. For us this Siddhi would simply mean ‘resourcefulness’ or being able to create an environment around us that is favorable to what we want to accomplish. Getting the right tools, the right people, the right financial resources which can take the endeavor forward is what is required of a leader. It could also mean removing the hurdles that would take the team or the organization from point A to Point B. Of course, where the point B is something bigger and higher in the scheme of things. To be ‘able’ to reach the desired goal through one’s enterprise and to inspire others is in true sense having Prapti as a Siddhi. Ishitwa – The way of being a Lord or a Master is referred to as Ishitwa. If taken literally it could itself mean being a leader but a leader is not a master or a lord. He is one among the followers and yet he is revered and respected as the group believes that by following the leader they can bring about positive change in their own life. Unlike a Master a leader does not permit freedom or impose sanctions. The leader shows the way within the same boundaries and limitations that the followers are also subjected to. Now in doing so he does win the hearts of the followers and in a sense he does rule over them, but over their hearts.Ruling over the heart is the key to Ishitwa as the organization structure or the position one holds for the time being may give powers so you start believing that it is you who can change the destiny of your people. But it is important that the belief is there not in you but in the people for whom you are responsible for. Remember that you are not only responsible for the good that happens to your followers but even the bad that they have to go through because of your indecision, your incompetence, your self doubt. Vashitwa – To have someone in your ‘vash’ is usually thought of as a kind of Hypnosis. But wouldn’t you get hypnotized by the very presence of someone as pure, as powerful and as simple as Hanumanji. Even Bhagwaan said that I have two kind of Bhakts – First are those who love me a lot and the second are those whom I love more than everyone else. Hanumanji was one such Bhakt that even Bhagwan Shri Ram was hypnotized by his love and selfless service. We can also have people not only liking us but loving us as they would just be reciprocating our sincerity and genuineness towards them. A bond of loyalty is stronger than any form of Hypnotism. It has the power to stay even after the bad times have fallen and the name, fame and power are long gone. A true leader will have followers who love him for who he is and the feeling of being loved and cared for in his presence. The sense of security that comes from the fact that the leader would not let any harm happen creates a special bond of trust. This bond is what keeps the group together. 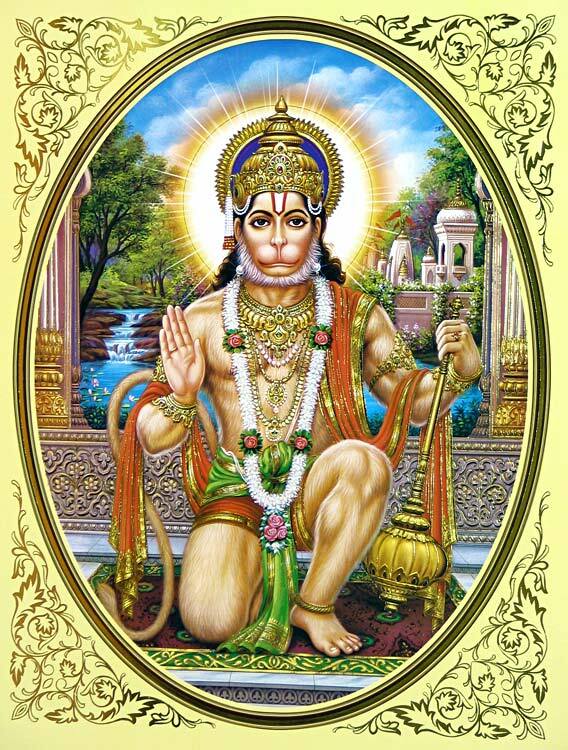 I sincerely wish and hope that Lord Hanuman will help me develop the above qualities. I know this itself will be a big Sadhana for me. It is much easier to write a blog post than to practice these seemingly easy behaviors in the ‘real’ world. But I also know that without ‘Tapa’ there are no ‘Siddhis’ and if I cannot push myself for these simple earthly qualities I can never hope to pursue what is higher and divine in this life. This entry was posted in ईश्वर दर्शन, Meditations, Thoughts and tagged baba neem karori, Hanuman Chalisa, Hanumanji, Leadership, organization, Siddhis, Tejomayananda. Wow….very beautifully explained…a perfect connect of Siddhis with leadership… This will definitely going to inspire loads of people who do not understand the qualities of a true leader… A COMPLETE GUIDE TO PRACTICE LEADERSHIP….